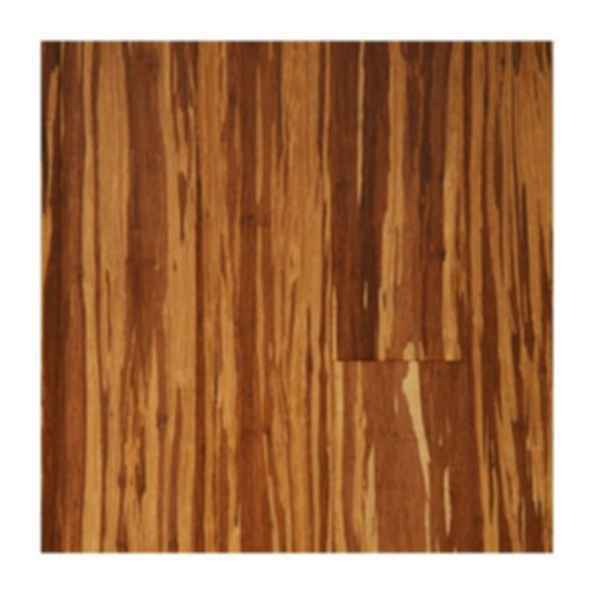 Zebrano Charred from the Strand Woven Bamboo Collection by Premium Green Bamboo® features pre-finished premium-grade (1/2" thick x 5-5/8" wide) strand woven solid plank flooring with a rich exotic look. Zebrano Charred from the Strand Woven Bamboo Collection by Premium Green Bamboo® features pre-finished premium-grade (1/2" thick x 5-5/8" wide) strand woven solid plank flooring with a rich exotic look. Each pole of this rapidly-renewing bamboo species from the remote mountain farms of Southeast Asia is hand-selected after six years of growth. The eco-friendly collection can be used on or above grade on concrete or wooden subfloors. This beautiful flooring has four-sided tongue-and-groove micro-beveled edges with a 7-layer Treffert® UV-cured aluminum oxide acrylic urethane smooth finish.